How are you doing today. I hope the world is treating you well today. Not me on the other hand, feeling slightly anguished and tired after a not so fruitful day at work (and it's only half way through). So, what do I do to cheer myself up? 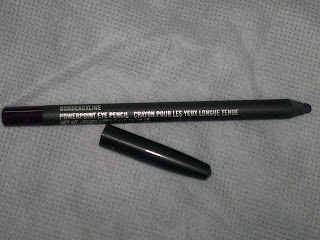 Grab a nice cup of de-stressing green tea and ogle at my favorite power point eye pencil from MAC (Bourdeauxline). I got this four months ago, for INR 1000 (1.2 g). 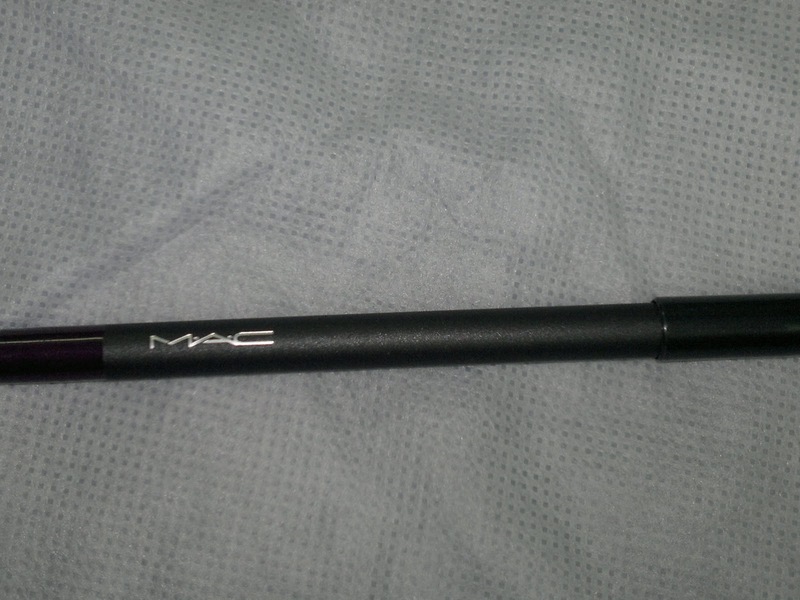 The packaging is so MAC, with the bottom tip of pencil colored exactly in the shade of pencil, making it easier to locate. 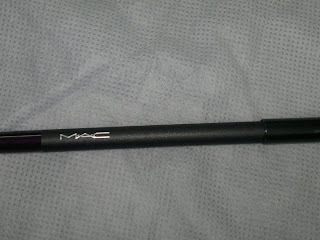 It has a sturdy cap with MAC and shade name embossed on the pencil. Came in an outside box, with complete list of ingredients mentioned. What do I like about it. Well, the answer is reallly simple, EVERYTHING !!!! Awesome pigmentation, sharpen-able (thus more hygienic), texture, single swipe gives you enough color on both upper lash line and waterline, stays put all day long (till I remove it, without any loss of pigmentation), doesn't transfer on lids, takes a few seconds to set and you are set. Some people may find it stretchy if they have dry lids (but can use an under eye cream 10 minutes before starting eye makeup). I for one always start my make up on a cleansed, toned, and moisturized skin. 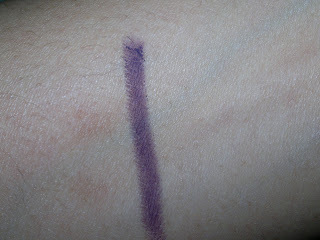 Isn't the color awesome, me love purples (all shades). Powerpoint pencils are available at all MAC stores in 14 different shades (go pick yours).